Series FIVE Monitor is a dedicated Monitor mixing console designed to meet the exacting requirements of today’s major tours and installations. With input channels boasting a feature set similar to that of the highly-respected FIVE Front-Of-House console, FIVE Monitor offers an equally high level of control over stage sources as its brother, but adds to this the comprehensive routing and Output control required from a Monitor console. In response to the demand for larger, more complex Output capability, FIVE Monitor is available in two frame types - 24-bus and 32-bus. The 24-bus version includes as standard a 23 x 12 Output Matrix, giving an impressive maximum Output capability of 38 balanced Outputs. The 32-bus frame has as standard a 23 x 16 Output Matrix, making a massive total of 50 balanced Outputs. 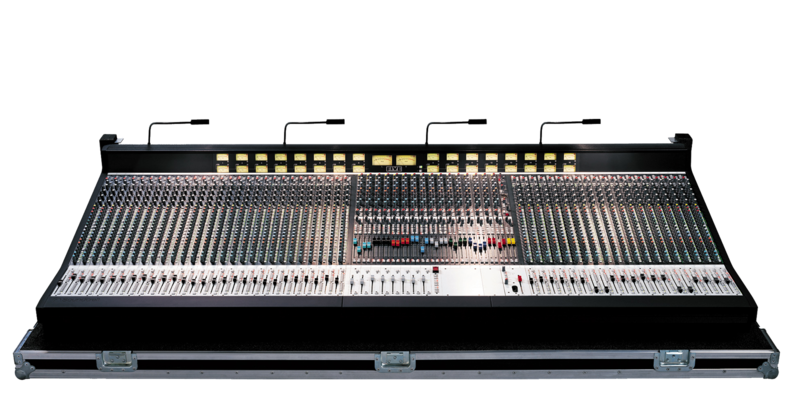 The proliferation of stereo Keyboard or Submix sources, in addition to the trend towards in-ear monitoring, means that stereo Output capability is now no longer a luxury option: both FIVE Monitor frame types support stereo Outputs - 9 stereo on the 24- bus, and 17 stereo on the 32-bus console. The 24-bus console is available with 44, 52 or 60 input channels. The 32-bus console is available with 40, 48 or 56 input channels. For those situations which demand that Outputs feed a combination of different systems (wedges, in-ear), the FIVE Monitor offers TWO SOLO systems - regular SOLO and ALT SOLO. Via a simple switch on the Outputs, each Group and Matrix Output bus may be set to send to either of these SOLO systems, making setup of accurate SOLO configur-ations (perhaps a Main wedge on SOLO, and an engineer In-Ear set on ALT SOLO) a simple task. In addition, via a special pair of auxiliary MIDI ports, the FIVE Monitor can send messages to a BSS FPC-900 Varicurve™ Remote Controller or dbx DriveRack™ to select particular slave EQ devices in a rack whenever a FIVE Monitor Output SOLO is activated. This accelerates considerably the process of SOLOing and editing an Output EQ. Of course, all of this is packaged in the rugged, road-proven frame of the FIVE, designed to keep weight and size to a minimum without sacrificing mechanical integrity. The package is completed by the addition of the same acclaimed all-new FIVE power supply design - the CPS2000, featuring built-in redundancy link, industry standard linear circuit design and plenty of headroom.